The Avg. Group Saves 13.1%! We had a one night visit and could not have been more pleased with the facility itself and that pleasant experience was matched only by the friendly and helpful staff. Outstanding. 03-Apr-2019 Verified Review, stayed from Sun Mar 31 to Mon Apr 01 2019 at a $60.48 average nightly rate. 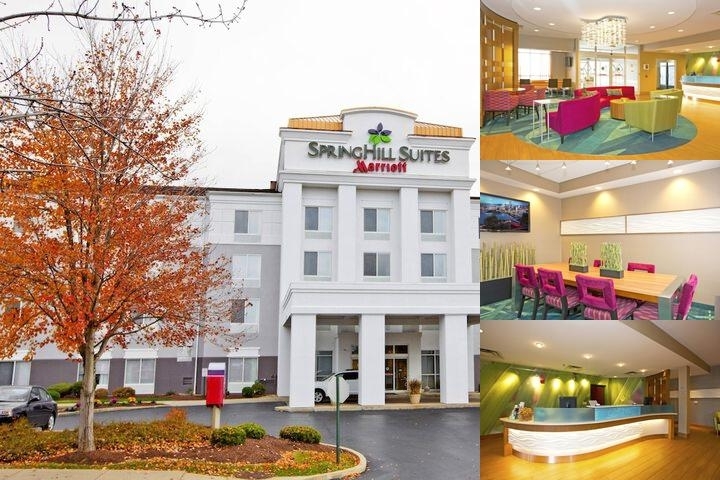 SpringHill Suites Pittsburgh Monroeville is conveniently located off of Interstate 376 and the Pennsylvania Turnpike, offers stylish studio suites with 25 percent more space than a standard hotel room. Each suite is equipped with a mini-refrigerator, microwave, coffee maker and 37-inch LCD television. For business travelers, a work desk and ergonomic chair provide the perfect work atmosphere, along with free high-speed Internet connections to enable you to work in the privacy of your own suite. You can start your day off right with our new breakfast buffet. A short drive can take you to many destinations, whether you are here on business with Philips, Alcoa, UPMC or many other local companies, or for pleasure and would like to shop at the Monroeville Mall, enjoy some thrill rides at Kennywood Park, splash away your day at Sandcastle Water Park or enjoy nature's animals at the Pittsburgh Zoo and PPG Aquarium. Work or play, the SpringHill Suites Pittsburgh Monroeville is the best choice to stay. The Marriott Hotels and Resorts highlights above are subject to change without notice. 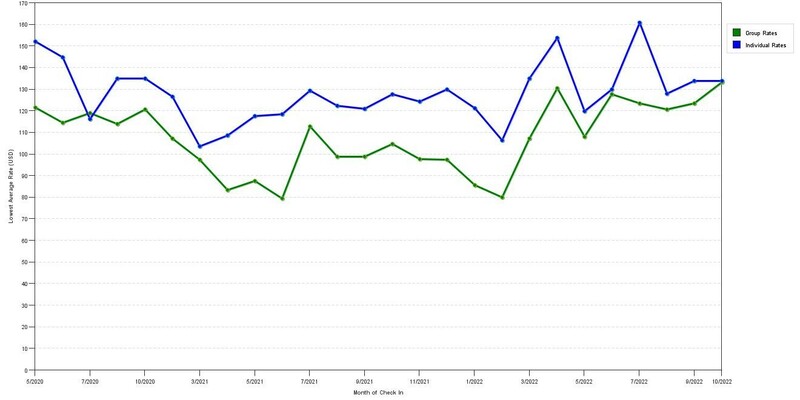 The graph above is seasonality of room rates for both group/meeting rates and the lowest online individual rates our system could find at the time the group bid was placed. The most competitive group rate shown is 28.5% in October 2017 and the highest average individual rate is $149 in the month of August 2017. This chart will show past seasonality and also project future months. If you are flexible with dates, you may want to consider staying at Springhill Suites by Marriott Monroeville in a month when rates are lower.